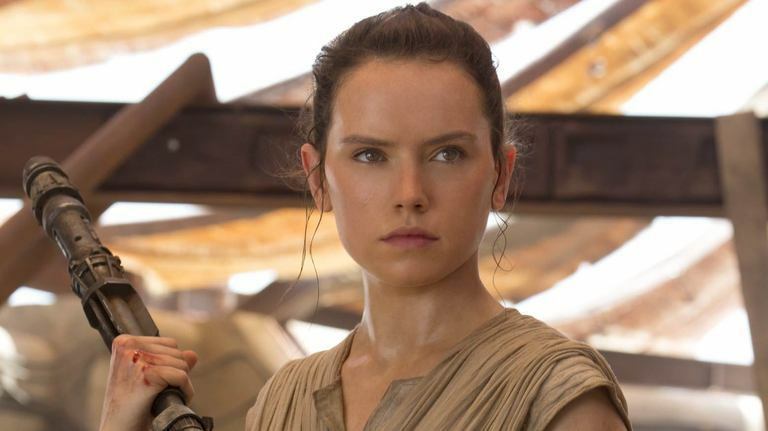 Daisy Ridley on Rey's Parents: "With Answers Come More Questions"
With Rogue One hitting theaters next week, Star Wars fandom has shifted its focus to the mysteries that surround Jyn Erso, Orson Krennic, and Saw Gerrera. But somewhere on the back burner are the questions that have plagued us since the release of Star Wars: The Force Awakens this time last year. One of the mysteries the film leaves open is: who are Rey's parents? But is that actually a mystery? Daisy Ridley didn't think so when she saw the film for the first time, recalling a conversation with her agent following the film's release where things that seemed obvious to her, weren't so obvious to everyone else. She told Time Out, "I realised that oh, in their minds it’s not answered at all!" As for whether or not fans will find the answer to the question of Rey's parentage satisfying, Ridley said, "I'd love to see the look on people's faces. But with answers come more questions, and there's definitely going to be enough to keep people going for another two years!" Star Wars Episode VIII hits theaters on December 15th, 2017. After watching The Force Awakens again last night, I am convinced more than ever that she is simply Luke or Leia's child. The Skywalker Legacy music plays in various scenes with her. Kennedy has stated multiple times that the "saga" movies are about the Skywalkers and Disney has made no excuses that Rey is another "Disney Princess." The question becomes, "Why WOULDN'T she be a Skywalker?" She is the daughter of Luke and Palpatine's grand-daughter.